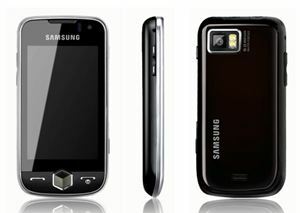 Samsung has unveiled its new mobile phone which is known as Samsung Jet Ultra Edition. The phone is available via O2 Uk. The phone has been designed in black and silver surround on the front. Featured with a 3.1-inch touchscreen display, the Samsung Jet Ultra Edition is also equipped with a 5-megapixel photo snapper with auto-focus function. It powered by a 800MHz processor, integrated with social networking applications, has built-in music player which supports MP3, AAC, AAC+, WMA and WMV formats, and FM radio with RDS. Moreover, it is Wi-Fi enabled, supports HSDPA and Active Sync features. “The Jet Ultra Edition is a phone with unparalleled functionality and builds on the success of our earlier Jet handset in terms of enabling aspirational and exciting lifestyles. With today’s consumers living increasingly fast-paced lives, we’re proving access to both entertainment and productivity options – all the things consumers love and need for work and play – and at unprecedented speed. I fell confident that O2 will make Jet Ultra Edition an astounding success,” said by Samsung Mobile UK and Ireland Vice President Mark Mitchinson. The Samsung Jet Ultra Edition with weighs 100g is available for purchase from the O2 UK for free with £25 per month tariff. During the promotion period, the first 10,000 customers will receive the phone in a limited edition Gangster box.